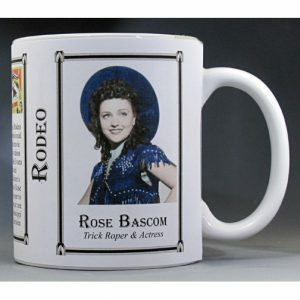 The Texas Rose Bascom mug is part of a biographical series profiling unique athletes in a variety of arenas from baseball to rodeo. 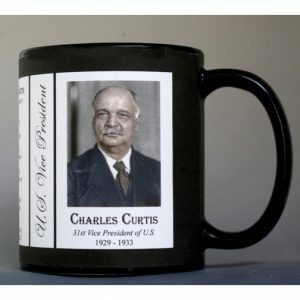 An image of Texas Rose Bascom and a short biography are features of this history mug. This Chief Joseph mug is part of our collection of Native American biographical mugs. 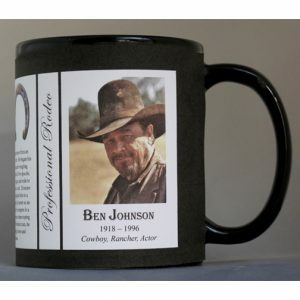 An image of Chief Joseph and a short biography are features of this history mug. 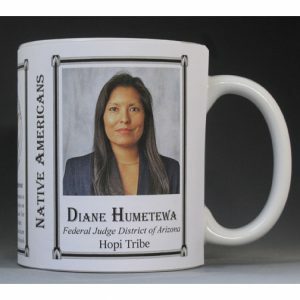 This Diane Humetewa mug is part of our collection of Native American biographical mugs. An image of Diane Humetewa and a short biography are features of this history mug. This Geronimo mug is part of our collection of Native American biographical mugs. An image of Geronimo and a short biography are features of this history mug. This Sitting Bull mug is part of our collection of Native American biographical mugs. An image of Sitting Bull and a short biography are features of this history mug. The Jim Thorpe mug is part of a biographical series profiling unique athletes in a variety of arenas from baseball to rodeo. 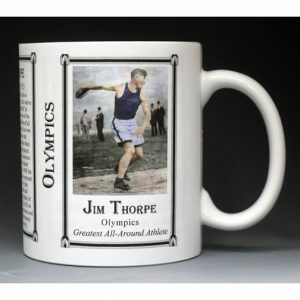 An image of Jim Thorpe and a short biography are features of this history mug.